DISTANCE: Approximately 3.5 round trip. THE HIKE: If you haven’t been to Chickadee Ridge in Lake Tahoe, well you are in for quite a treat. That is if amazing views from above Lake Tahoe, a big sledding hill and little Chickadee birds that eat bird seed right out of your hand, is your idea of fun. This hike is a blast for the young and the young-at-heart. The hike is great all year but if you go in wintertime, we suggest you bring snowshoes. The trail signs especially during a big winter may be hard to find, but finding your way to Chickadee Ridge is really pretty easy. 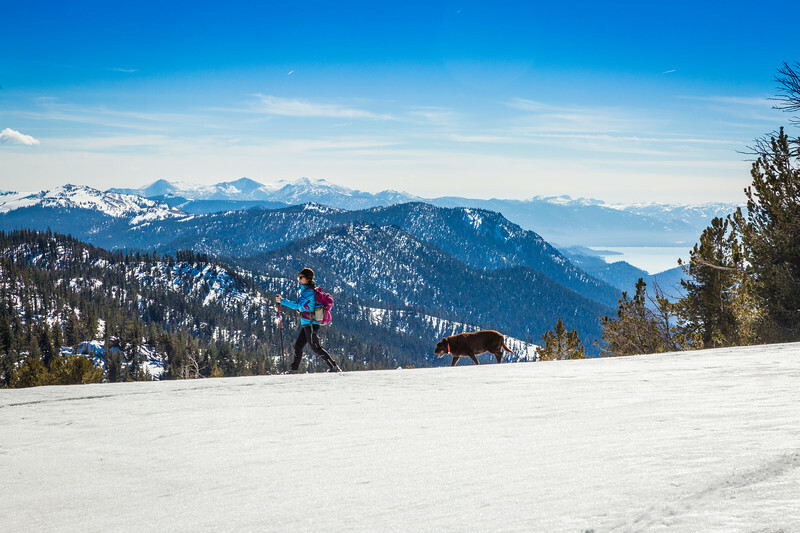 From the trailhead parking lot, trek southeast into the big open Tahoe Meadows. The ridgeline to your right (southwest) is where you are headed. During the summer, the trail is marked as part of the Tahoe Rim Trail with signs also for the Meadow Loops and Ophir Creek Trail. Continue to head southwest and toward the top of the ridgeline to the west and you will make it to Chickadee Ridge in a little less than 2 miles. 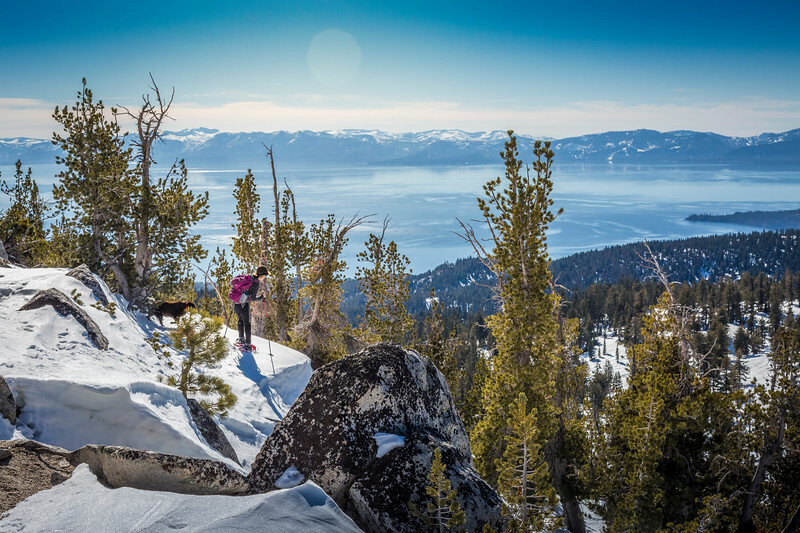 Once you catch the first views of Lake Tahoe, get your birdseed ready. Keep a look out for the Chickadees flitting from tree to tree and listen for their CHEESE-BURG-EER song. Spread a little seed in your open palm and soon enough you’ll have them eating out of your hand. PRO TIPS: Dogs are allowed. We found the Chickadees liked the smaller seeds and breadcrumbs best. 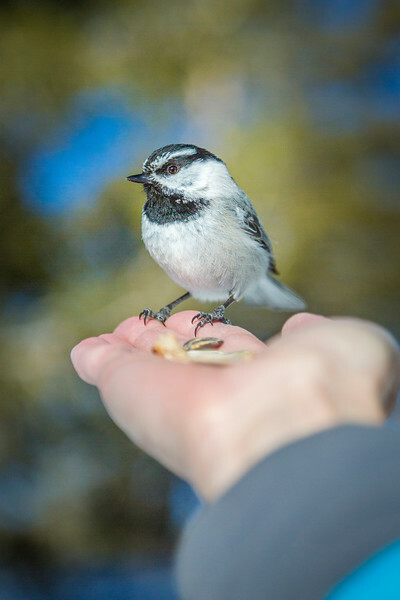 Bring the camera, since the views are spectacular and the Chickadees will have you giggling no matter your age.